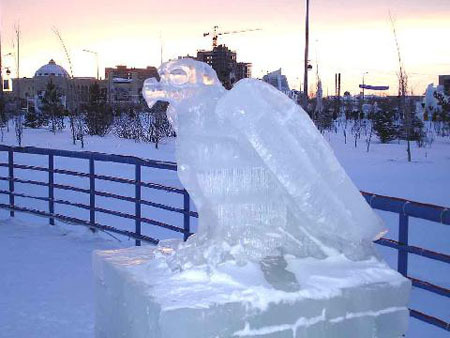 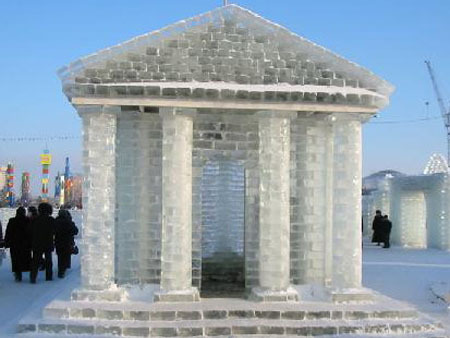 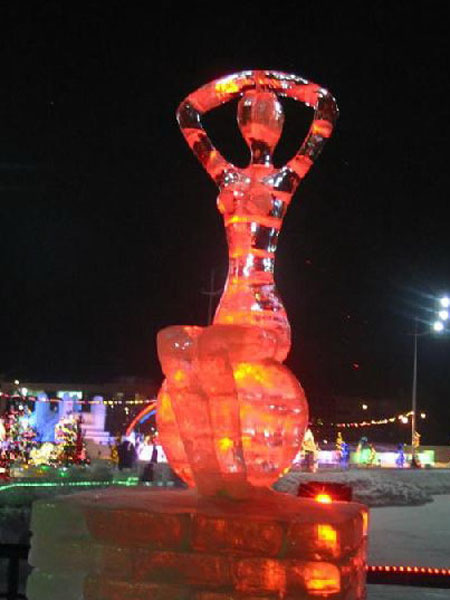 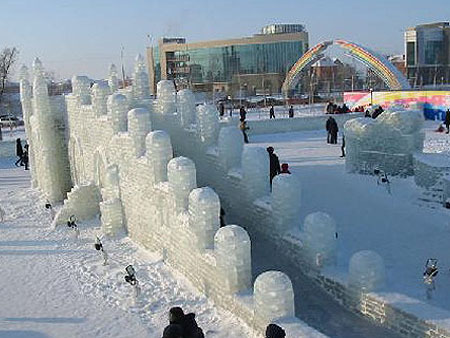 Ice-city construction in Astana in December has already become a tradition. Sculptures are always united with some general idea so that they make a unique complex of figures. 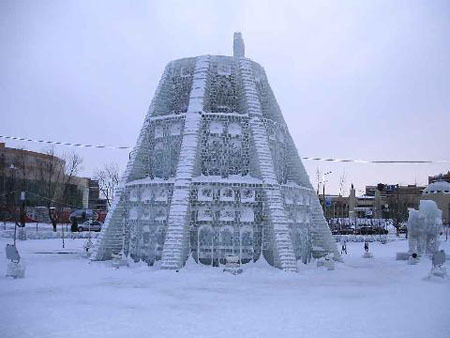 In the center of this “city” there is a skating rink and, of course an ice-run which is always popular among local children regardless, strong wind, snow, and frost. 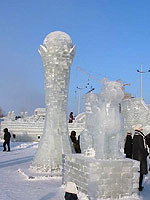 Sculptures are made from the ice-bricks and often represent the figures on animals or world-known buildings as Big-Ben, Eiffel Tower as it was in 2005, for example and so on. 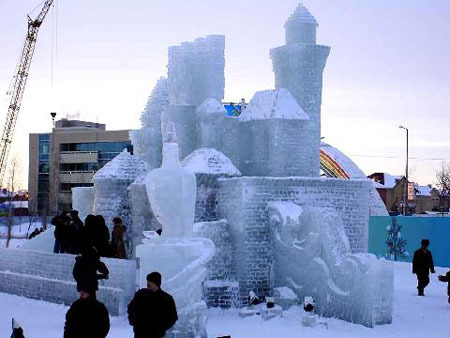 Artists can also shape such a symbol of Astana as Baiterek Tower , castles, fairy tales heroes and so on. 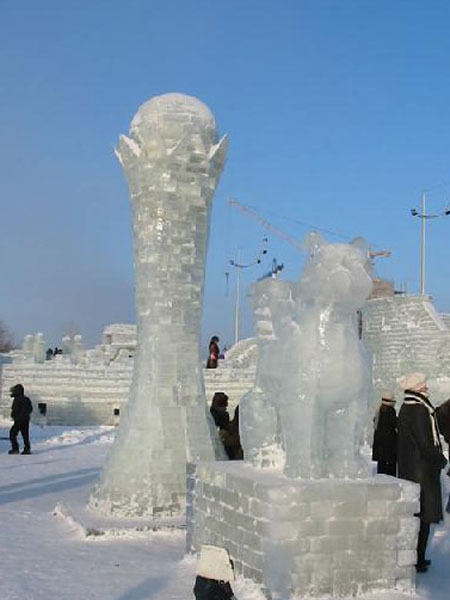 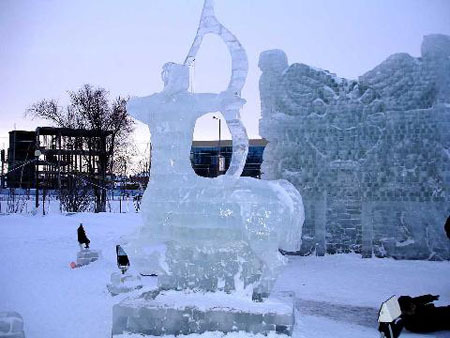 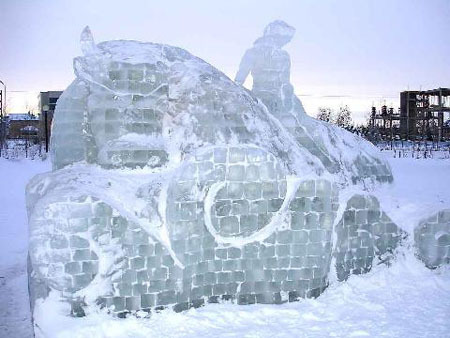 that you can contemplate beautiful ice-sculptures of different colors. 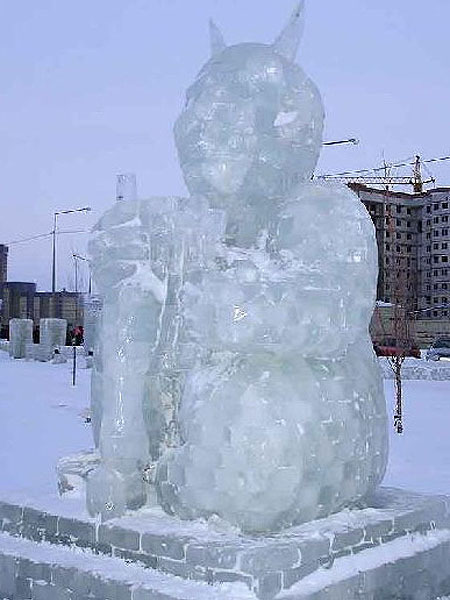 Millions of tenge (national currency) are spent every year on this work and it is worth to be visited!